Harry Potter crossed with Beauty and the Beast was how I described The Ancient Magus Bride Part One, and that is as accurate a shorthand as you’re going to get for this delightful, contemplative show. It’s set in a world of magic, centred on the UK, and it follows the story of an unwanted girl with unique power and talent, who is bought by the rather odd looking unhuman Mage of the title, as an apprentice and a potential bride. It’s a mesmerising and engrossing character study, and if it is a little aimless in this first half, it promises big for Part 2. As long as fans want it, there will always be more Fate/Stay Night, and this week we got the first in a movie trilogy that tells the third route through the eponymous videogame. Fate/Stay Night Heaven’s Feel: Presage Flower concentrates on the character of Sakura Matou, and if you’re keeping track, feels the most natural progression to Fate/Zero of all the iterations of the story we’ve had so far. Impressive production values from Studio ufotable make this a film trilogy to keep an eye on. 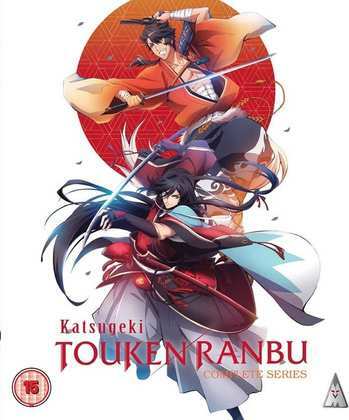 Studio ufotable were also behind Katsugeki/Token Ranbu, my final review of the week. This one is also based on a game, but a mobile phone game of all things. That implies a simplicity that doesn’t translate well to an anime narrative, but the premise about anthropomorphized swords sent back in time to keep history on track promises much. The production values are most certainly there, but click on the review to see if the story delivers. We Without Wings. I just don’t know where I stand with this show. On the surface this is an awful show. It’s the sort of low rent, common denominator harem comedy that seems to define anime. It also delivers the kind of exploitative fan-service that would warrant the ire of your average Daily Mail reader, and justifiably so. There are characters in this show that make me cringe. And it’s got a ‘zany’ sense of humour that it thinks is so smart and on the button, but is painfully pretentious. But then there is the story... which I can’t talk about, as it all comes out in a twist a third of the way in, that rivals The Sixth Sense in the ‘Oh, I get it!’ that it delivers. What are you going to do? It’s a bad show with a good story. 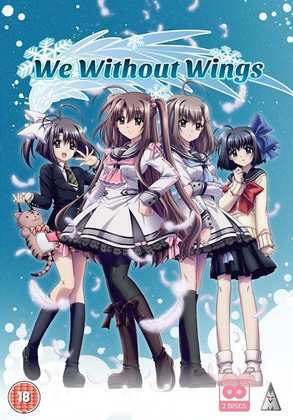 MVM released We Without Wings on DVD in 2014 and it’s still available to buy today. Here’s my review. In the US, Funimation released the show on Blu-ray and it is Region B compatible. 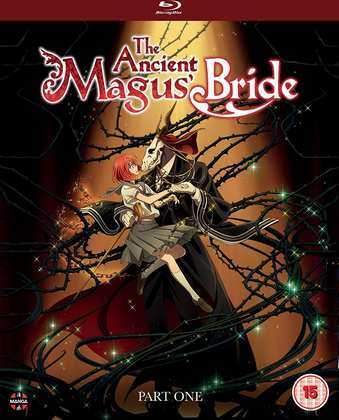 Manga Entertainment released The Ancient Magus Bride Part One on Blu-ray aand DVD on the 1st of April, and that’s when MVM released Katsugeki/Touken Ranbu on Blu-ray. 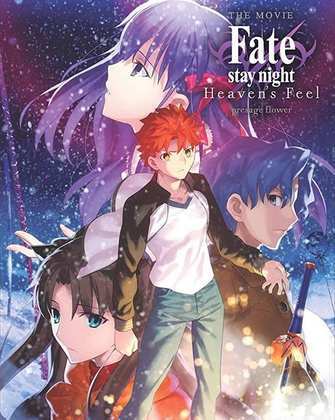 MVM also release Fate/Stay Night Heaven’s Feel: Presage Flower on Blu-ray and DVD on the 15th of April.